The ‘standard’, default start time for Broadway shows used to be 8pm, with Wednesday and Saturday matinees at 2pm and Sunday matinees at 3pm (when they didn’t typically have any evening show to follow). But the schedule there is now all over the place, with most shows offering 7pm starts on two or three evenings a week (between Tuesday and Thursday) and some offering two-show days on Sunday. The West End has always been a bit looser, both with start times (7.30pm is the preferred time, but there are also 7.45pm and 8pm shows), with matinees on a range of days – Saturdays are standard, but the second matinee could be on any day between Tuesday and Friday. 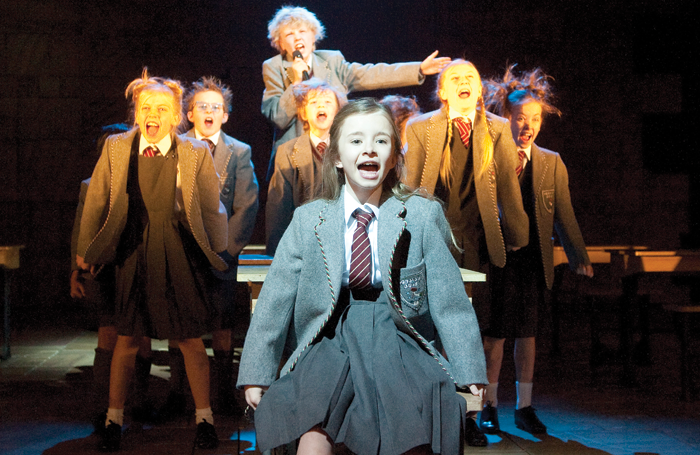 But this week a new model was announced for the family-friendly Matilda the Musical in the West End. It is now, for the first time in the West End, rolling out its 7pm Tuesday start time across the rest of the week, up to and including Friday. Of course, what the scheme gives with one hand it takes away with the other: instead of a rush to the last train, for some it might mean an added rush to the theatre from the office, with less time to grab a snack en route (it could add to sales of snacks in the theatre as a result), and actors who are also parents will lose some post-school time with their kids before they have to go to work. But, as someone who has been privileged for a long time with start times of 7pm designed specifically for me and my tribe on press nights, I appreciate there are distinct advantages to the earlier start time. Opening nights have long been set at 7pm: partly to mark them out as a ‘special’ evening distinct from any other; partly for critics to have extra time available to write their reviews after the show (a throwback to the old days of ‘overnight’ reviews to make the next morning’s papers); and partly to get the after-show party started earlier. On first nights, with a crush of big stars making a publicity-seeking entrance, the shows never usually start on time. It has regularly been the case that a first night doesn’t actually start until about 7.15pm. Factor in an extended interval and all the time that was built in is promptly lost. Nowadays, though, many productions are moving to a system of allowing critics in ahead of the opening to a range of designated preview performances (at regular starting times), to alleviate this stress and enable all the reviews to appear simultaneously on the opening night itself. The immediacy of online reviewing means that when a show doesn’t allow critics in early, there’s an even bigger rush to get writing so that the review can appear online as quickly as you can write it the same night. However, I do miss the adrenaline rush of the 7pm start, and the expectation that you’ll be out of the theatre long before 10pm. It means that, even if you’ve not got a review to write immediately, you’ve still got a bit of the evening left. And although I don’t at the moment have much of a commute myself, it’s nice to get some time at home before bed. But for those who do have to commute, trains often get slower, making more stops, the later it gets. So earlier starts would be more civilising for anyone trying to take the train. I’ve found the same thing with regional theatre openings. A 7pm start at Chichester, for example, means you can make a train that gets you back to London by 12.30am. Ditto at Leicester, the final train home is now at 9.56pm, which can work for a 7pm start but not a 7.30pm one. The alternative is having to stay over – good news for local hoteliers, but not for critics and outlets who are trying to cover regional theatre on limited budgets. Maybe it’s time to follow the Broadway model and offer variable starting times across all London and regional theatres – and not just for the benefit of critics. Where are the good new TV shows about theatre?